I find these fields of yellow intriguing and beautiful. 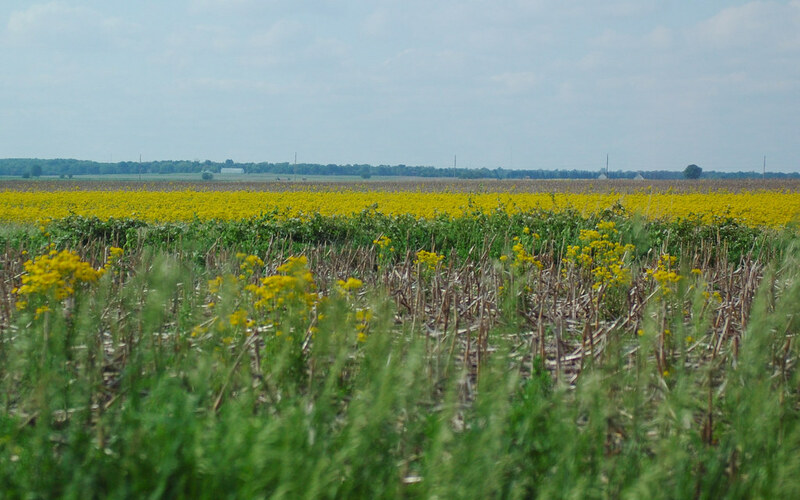 In my daily drives around town, I pass by fields of corn stubble, fields of freshly plowed dirt, fields where tender shoots of corn are just coming up and these fields of yellow flowers. The yellow flowers paint a broad swath of color in the neutral landscape and even though they are essentially weeds in a field, with their sheer numbers - you can't miss them. The picture doesn't do them justice but I was happy just to have captured them - I shot the frame while driving back from Erica's horse riding lessons.